Citation Information: JCI Insight. 2018;3(3):e98222. https://doi.org/10.1172/jci.insight.98222. 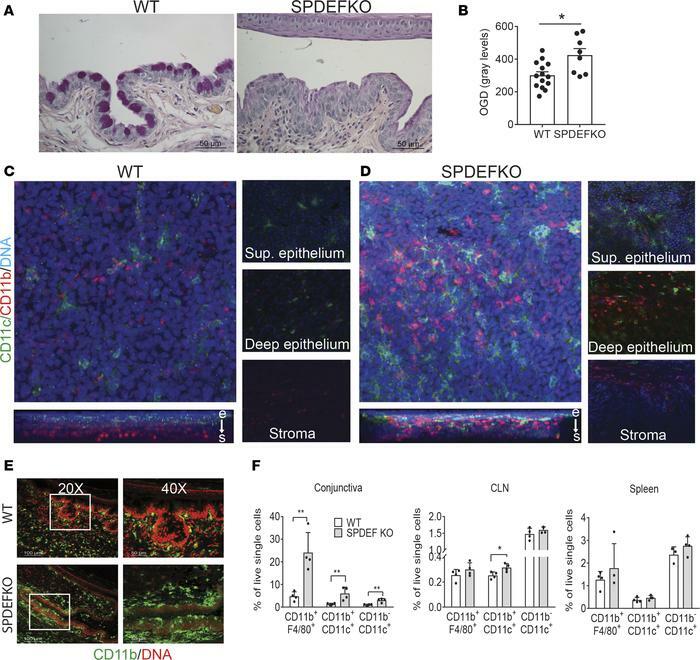 Lack of goblet cells alters DC distribution in Spdef-KO conjunctiva.